In the summer of 2004, four Cirrus SR22s from the eastern and central United States flew as a group across Canada to Alaska to enjoy the magnificent beauty of that state. It was a fine adventure with the customary, excellent camaraderie that arises whenever a group of Cirrus owners, pilots and their families get together. In an effort to make the trip an annual event, this Alaska Flying Guide was created to provide useful information to members of the Cirrus community who might consider such a journey but are intimidated by the thought of doing so on their own. This Alaska Flying Guide is not meant to be a comprehensive guide on topics such as customs regulations, survival gear, mountain flying techniques, tourist information and the like, although it does provide links to other sites that have more complete information on a variety of subjects. Instead, this Alaska Flying Guide is written with a view towards providing Cirrus pilots with information that is not otherwise readily available in a single Alaska website, such as practical knowledge on dealing with the ATC environment, various VFR and IFR routing options from eastern/central and western US to Alaska, and general information on lodging and outdoor activities that are available in certain parts of Alaska. There is nothing inherently difficult about flying to, from or within Alaska during the spring and summer seasons. While the distances are substantial (see the overlay map below), the journey itself offers many rewards because of the amazing scenery and the opportunity for flying alternate routes across varied terrain. None of the MEAs along the suggested routes in Canada or coastal and southern Alaska are higher than 10,000 feet, so oxygen is not required (although it is recommended because special situations can always arise). All of the primary airports suggested in this guide for Canada and Alaska have paved runways and published instrument approaches; they also all have fuel, food and lodging readily available. Because Cirrus aircraft are superb long distance flying machines, it is preferable (but not essential) that a pilot contemplating a trip to Alaska has an IFR rating. It makes “getting there” safer, quicker and more enjoyable; and it avoids the inevitable delays which VFR-only pilots face on a lengthy journey when the weather doesn’t cooperate with the best-laid plans. This guide aims to alleviate some of the concerns that an IFR pilot might have about the complexities of planning such a journey and to provide some insights on dealing with the ATC environment in Canada and Alaska. While this Alaska Flying Guide may be useful to any pilot considering a trip up north, many of its suggestions -- on routing, altitude, range, IFR, choice of airports, as well as trips that may be accomplished in a single day -- are admittedly geared toward the capabilities of the Cirrus SR20 and SR22 aircraft. No effort has been made to optimize this trip for aircraft that are slower or do not have the same high level of IFR capability. More than 35 airplanes and 70 people have signed up for the 2005 summer trip to Alaska. See the COPA Calendar of Events if you wish to add or delete your name to this list. Specific dates have now been established for this trip. The concept of two trips (late June and late July) fell by the wayside because of the overwhelming interest in a July/August trip. But then we learned that the Alaska Airmen’s Association had shifted the date for its annual trip to Russia from early August to July 16, 2005 (due to more favorable weather and other event considerations by that organization), so it seemed to make the most sense to plan the COPA trip around that date. Also, the annual EAA show in Oshkosh, Wisconsin is set for July 25-31, 2005, so the schedule was adjusted so that COPA participants could have the option of stopping there on their way home. Here are the key dates for the summer 2005 Alaska trip. Days for which no event is noted would be open for individually-planned activities, such as fishing, bear watching, glacier tours, etc. East coast and Midwest participants meet in Duluth for dinner and preflight briefing and discussion. East coast and Midwest participants depart Duluth and fly to Edmonton. Stops in either Winnipeg or Piney Pine Creek (Canadian customs); Regina; and Edmonton (overnight). West coast participants meet in Seattle for dinner and preflight briefing and discussion. East coast and Midwest participants depart Edmonton and fly to Whitehorse; with a stop in Fort Nelson. West coast participants depart Seattle and fly to Whitehorse, with stops in Prince George and Fort Nelson. Entire group meets for dinner in Whitehorse. Entire group departs Whitehorse and flies to Anchorage (US customs). Each plane heads for their next destination, e.g., Kenai, Fairbanks, Anchorage, and settles in. Russia participants can attend a one-day water survival seminar by Learn to Return in Anchorage (details to be provided later). Russia participants fly to Nome, to meet up with participants in the Alaska Airmenï¿½s Association annual trip to Russia; attend a briefing in the evening by pilots who've previously flown to Russia. Russia participants fly to Provideniya Bay, Russia. If flying VFR, be prepared for weather delays. Because Russia is on the other side of the International Date Line, when we arrive in Russia (after a less than two hour flight) it will be Monday. Russia participants can either (a) take a one day tour of nearby native villages, or (b) begin a 6-10 day bus and motorboat tour of native villages and wildlife. Arrangements would be made through Circumpolar Expeditions. Russia participants can return to Nome as part of the Alaska Airmenï¿½s Association group. If flying VFR, be prepared for weather delays. Weather permitting, group air tour of Mt. McKinley, with a lunch stop in Talkeetna. Alternate date would be Thursday, July 21. Group air tour of the Kenai Peninsula, with a farewell dinner in either Seward or Kenai. Begin the return flights to the continental US. Opening of the EAA annual show at Oshkosh; it runs through Sunday, July 31. Call for Volunteers: Depending on the number of pilots who firmly commit to this trip, there will be a need for one or more volunteer pilots to lead the west coast and east coast groups as they travel from the continental U.S. to Alaska; this task includes leading the pre-flight meetings. There is also a need for volunteers to assist in the planning and coordination of the Russia trip, as well as the Talkeetna lunch and the farewell dinner. Please email Ilan Reich if you wish to volunteer for these or any other activities. Length of Stay: Plan on spending 8-12 days in Alaska, either touring from place to place or using a single location as a base. This would make the overall Alaska trip in summer 2005 a 12-16 day event. Use this Alaska Flying Guide to plan specific activities and destinations, or use the COPA members’ forum to seek suggestions on things to do. Where to Stay: The Kenai/Soldotna area is recommended as the home base for pilots who wish to use a single location during their stay in Alaska. See Section Three for more information on this and other locations. There are a number of decent lodging choices in Kenai/Soldotna (mostly small, hospitable bed & breakfasts), as well as a host of fishing, hiking, kayaking, rafting and sightseeing opportunities (bears, glaciers, wildlife) within a reasonable driving distance. Plan on renting a car: it’s the only way to get around with flexibility during a lengthy stay in a single location. Group Activities: Plan on joining your fellow Cirrus pilots, their families and friends for at least two events in Alaska during the trip in summer 2005: a half-day flightseeing tour of Mt. McKinley and lunch in Talkeetna; and a farewell dinner in Seward at the conclusion of a late afternoon/early evening flightseeing tour of the Kenai Peninsula. Additional information will be provided before the trip. In the summer 2004 trip the Cirrus group gathered each night for dinner at one of the lodges, and efforts will be made to have this option available in summer 2005 as well. Pre-Flight Planning: Section Two and Section Four of this Alaska Flying Guide provide detailed routing information on choices for flying to and from Alaska. During the summer 2005 trips, there will be a group pre-flight meeting each night before a flight, as well as a quick update in the morning to finalize the routing and to file flight plans with US or Canadian authorities. Spare Parts: Efforts are being made to have Cirrus Design send a supply of commonly-needed spare parts to an FBO in Alaska during the summer of 2005, in case any pilots have mechanical problems while in Alaska. Additional information will be provided before the departure date. The Russian ATC authorities can be very fickle (especially since they bear personal responsibility for accidents), and may not allow VFR flights unless the weather is severe clear. Participants should therefore be prepared to expect up to several days of delay, or they should be able to switch to an IFR flight plan. The over-water portion of the VFR trip is very short ï¿½ on the order of 40 miles (because of the presence of two desolate islands in the Bering Straits) ï¿½ but it still exceeds the gliding distance. The over-water portion of the IFR trip is more than 150 nm. Participants who are concerned by over-water flight should be prepared with knowledge of water survival skills, as well as the appropriate survival gear. Arrangements are being made for a survival course in Anchorage, as well as raft rentals, just before the departure to Nome. The runway in Russia is hard packed gravel, while the tarmac area is poorly maintained asphalt. Soft field takeoff and landings are not done by GA craft using this airport, but participants should be prepared for less-than-ideal runway conditions. Past flyers from Alaska report no aircraft damage due to rocks and gravel, but that is purely anecdotal. The Russian Border Police will be guarding our planes on the tarmac during any overnight stays in Russia. Participants will not be allowed to remove any gear from their planes (e.g., satellite phones, portable GPS) and will only be permitted to visit once a day. The overnight accommodations in Russia are bed and breakfast, since there are no hotels. These typically mean staying in someoneï¿½s apartment (the regular occupants usually move out for this occasion). Needless to say, the conditions may vary widely and will undoubtedly not compare to the standards of hotel accommodations in the US. The airport authorities in Russia will advise us in February if a supply of 100LL fuel will be on hand for pilots who require refueling. Of course, there can be no expectation that the fuel will actually be there or that it will be useable. Our Cirrus aircraft have the range to fly the round trip (either IFR or VFR) if they depart Nome with a full fuel load, but pilots who will be flying with lots of passengers and luggage may not be able to make the round trip without refueling. The Russian ATC authorities impose a variety of user and landing fees on planes that traverse their airspace. The visa and invitation to visit will cost approximately $400 per person, and will be obtained two months in advance. Credit cards and checks are probably not accepted for fees in Russia, so be prepared to carry a sufficient amount of cash. Also be prepared to spend an additional approximately $500 per plane for user and landing fees in Russia. Most Cirrus aircraft insurance policies issued by US insurers do not traditionally cover flying outside the US, Canada and the Bahamas. 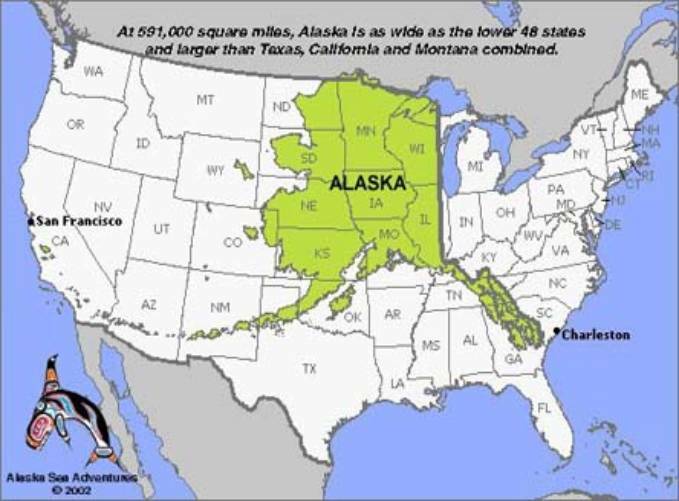 Some policies do not cover Alaska. No traditional US policy covers a trip to Russia. Arrangements are being made through JT Helms at NationAir to get quotes in March-April 2005 for a territory rider that would cover the Russia trip. At least one carrier has already agreed to issue quotes for its existing customers, probably at a cost of approximately $500. Additional details will be provided as they become available. Participants should consider whether they would make the trip without insurance coverage. Due to the paperwork requirements for visas and permission to fly in Russian airspace, the signup deadline for committing to go on the Russia trip will be Friday, April 8, 2005. Additional updates and details will be sent out before then.